And last but not least, I recently took part in another more podcast just before Christmas. Amanda, Dan, and Nate invited me to join them on Made for TV Mayhem Show again this year. This time around we played a game. The object was to identify (or guess) the plot of the story just from the title. I supplied the titles while Amanda, Dan, and Nate tried to figure out the plots. 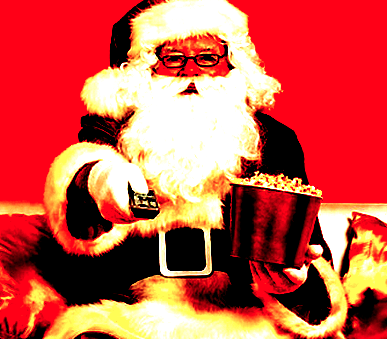 Christmas entertainment titles can be indistinct and even misleading! How good would you be at playing this game? I sure had a fun time recording this podcast. When you listen, I think you can tell. Click here for the link to listen. Many thanks to the crew for inviting me to join them. You may remember that I participated in the Made for TV Mayhem Show Christmas program last year as well. There were two shows. Home for the Holidays starring (front to back) Jessica Walter, Sally Field, Jill Haworth, and Eleanor Parker. Part 1 included a discussion of the 1988 TV movie A Very Brady Christmas and the 1972 TV thriller Home for the Holidays. Click here to listen to that again. Part 2 included a discussion of the 1991 Christmas movie Bernard and the Genie. Click here to listen to that again. 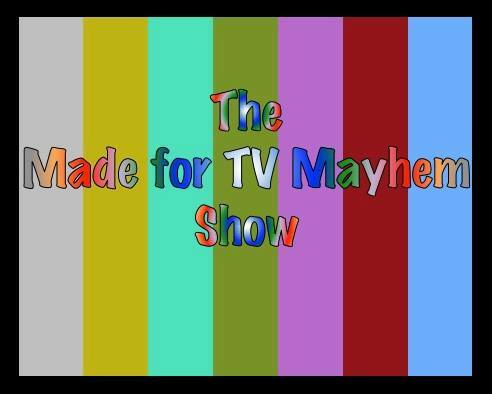 You can easily follow the Made for TV Mayhem Show all year long on Facebook here, on Twitter here, or look for new installments on iTunes. Feel free to listen and leave your comments at Made for TV Mayhem Show, or here. Loved listening. Thank you to you four for the enjoyment and helping pass the time in some long drives. Happy Holidays to all of you and here's to some more podcast fun in 2017! I enjoyed listening to the first hour of the discussion. 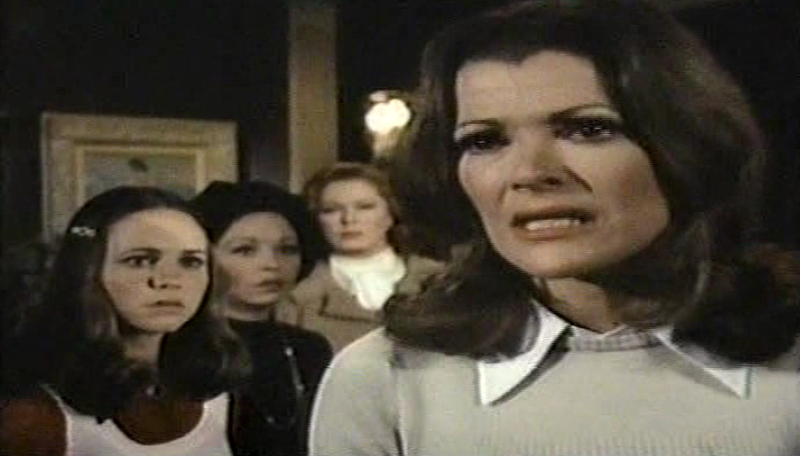 I watched Home for the Holidays when it was originally aired in 1972 (I was 14) and I don't recall being shocked by it, but then I was also a big fan of Dark Shadows. I think Eleanor Parker did a tour de force performance and I was very impressed by it. I love the music too, and the opening with her driving the Mercedes is absolutely perfect with that music playing. I remember liking the movie a lot and not seeing it again for about 40 years when I downloaded it from YouTube. It was great to finally see it again. I remember seeing a mention of it in Fantastic Television, a life-altering book I got in the late 1970s all about sci-fi and suspenseful TV and movies, complete with episode lists long before the internet. Home for the Holidays (1972) is viewable on YouTube. I highly recommend it.